Do you use Instagram for your business? It’s 2018 – you should be. In 2017, 70.7% of US Businesses were on Instagram. Instagram has 700 million active users per month and continues to grow. For a little perspective, Twitter has 328 million active users per month. With less competition and more user engagement than Facebook, Instagram offers a platform to showcase your business in a creative way. And, according to Instagram, 80% of users follow at least one business. Note these statistics apply for businesses that set up a free Instagram account. You don’t have to run a paid campaign to have success. So, how does NumberBarn make phone numbers interesting on Instagram? 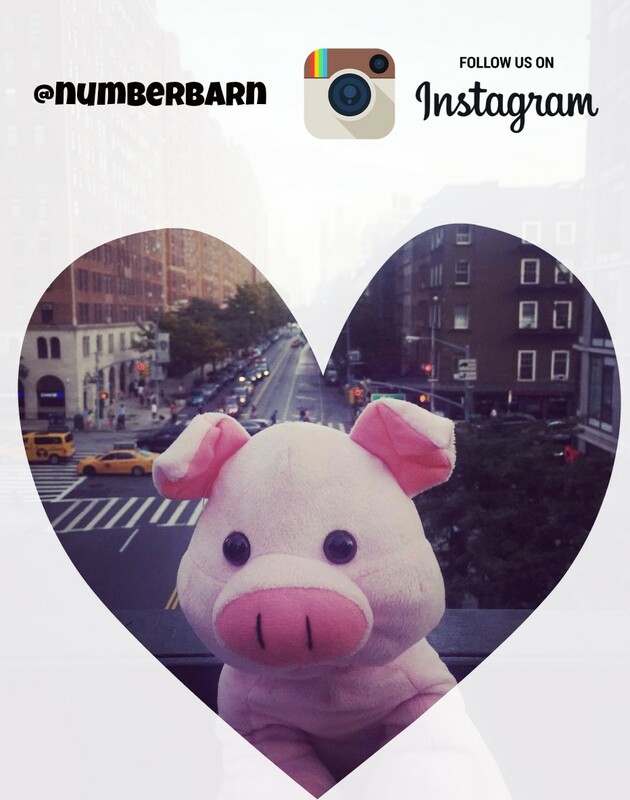 Meet The Pig: The NumberBarn mascot that shows you how virtual phone number management can take you anywhere. We like to call this #PigLife. While our home base is San Diego, California, we like to showcase how our service can save you money and keep you movin’ and groovin’ out there in the world. 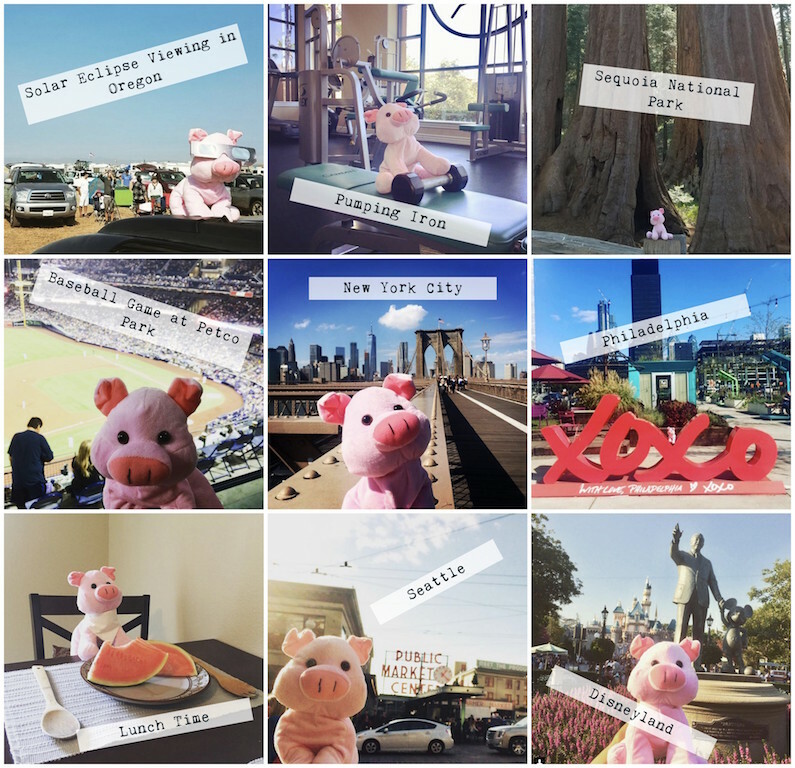 And, we use Instagram to share all the places in which The Pig travels. Learn how NumberBarn whipped up this simple and entertaining campaign to spread the word about how our service can enhance your life. Why are we on Instagram? What are the goals? What do we want to share and how do we want to engage with our community? By asking ourselves some initial questions, we were able to develop a plan for our purpose in using Instagram. We want to highlight our casual company culture, make people smile and show that our service allows you to go anywhere without being tied down to a desk. What does your company do that helps you stand out from the rest? We purchased an inexpensive and delightful stuffed pig that resembled our company mascot, The Pig. Everyone in our company received a pig to take with them on adventures from daily errands, local events or trips across the country. Then, pictures are shared on our Instagram profile via a scheduling platform called Later. For more specifics on how we schedule our Instagram using Later, check out this post. With so many company offerings, how do you sum up what you do in 150 words or less? Your Instagram bio is only a tiny snapshot of what your company does, therefore you want to ensure it is simple, to the point and straightforward. The link in our bio typically forwards to our main website, but we’ll sometimes update it to reflect a blog post. For solid advice on how to write your Instagram bio, check out this guide from Hootsuite. We’re a fun bunch. We take our jobs seriously and work hard to create a service that supports all of the number needs for our customers. We also believe that there’s more to life than just work. We want to serve a greater purpose. This is reflective in our casual and straightforward communication style, across all channels. And, it’s reflective with our humor and California cheeky style through each Instagram post. #PigLife: The official tag for Instagram posts including The Pig. We encourage customers to also tag us with this if they share a picture. #NumberSmart: Our business hashtag that we use to reference our customers because when you’re with us, you’re #NumberSmart. #LoveThePig: Um, because we love The Pig. Duh. Then, we dive into photo specific hashtags, such as location, travel, food and more. We found gobs of helpful information in The Complete Instagram Hashtag Guide for Business as well as The Ultimate Guide to Instagram Hashtags in 2017 (the 2018 edition may be released by the time this article is published). If you’re ready, take this advice and hop over to Instagram to create your business account now! And, be sure to join in on the fun & follow us on Instagram.